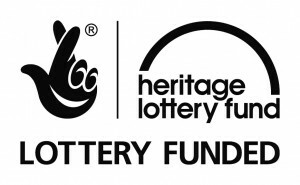 Sussex Traditions has received a Heritage Lottery Fund (HLF) Sharing Heritage grant for its Foundation Project. This twelve month pilot programme has been given £10,000 towards the development of a web-based, multimedia, searchable database, which will make many important, unique and often inaccessible Sussex heritage items accessible to the public. Sussex Traditions is concerned with the traditional heritage of Sussex, East and West. By this we mean the shared everyday culture of ordinary people, past and present, which is passed on from person to person and down the ages, mainly amongst small groups and communities. It includes the areas normally described as folklore, folklife, folk arts, and oral, local, and community history. The Foundation Project will focus specifically on traditional song collected in the Sussex area. The Tony Wales Collection will be the first of seven collections of Sussex song material to go up on the website. Future projects will include gathering ‘local legends’ – stories about particular Sussex places, then we will move on to include local food, calendar customs, occupations, children’s games and rhymes, music and dance, folktales, dialect, crafts, sports and games, and so on. In each case we will collect and organise material, make it as widely accessible as possible, and promote its use by everyone interested in the subjects or the county. Sussex Traditions will call on the skills of volunteers and professionals in the county to prioritise collecting, cataloguing and digitising limited-life source materials. For example, early tapes awaiting digitisation, or undocumented oral traditions still held in living memory, and other types of traditional material, from songs to local legends. Using this rich material, The Foundation Project aims to engage with a wide range of people through its developing website and outreach community activities, including two primary schools and adult learning days. Other essential supporters for the year’s £30,000 project costs include the Foyle Foundation, South Downs National Park, National Folk Music Fund, Bassil Shippam & Alsford Charitable Trust, The Marc Fitch Fund and Much Ado Books. We are delighted to have received this grant, which represents a huge building block in our future plans. We look forward to embracing this unique opportunity to engage with the communities and culture of Sussex, both past and present.